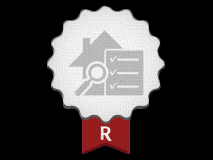 The typical single family residence inspection (1200 square feet, with an attic and a sub-area) will take 2-3 hours. Then the Inspector will usually summarize on the spot, walk and talk with the clients for another half hour. What will be inspected today? Please refer to the Typical Inspection page. Are you going to go into the attic and under the home? Absolutely! These areas I feel are the most important parts of the normal home inspection, due to “out of sight, out of mind” scenario, drainage aspects, foundation, under-side of roof and the exposed framing areas are very important items that need to be fully inspected. Did you find any mold and/or mildew? I look very closely for anything that resembles mold, mildew or surface fungus. As you can image, I am not a Biologist. If I do find any of these organic substances, I defer it to a mold/mildew specialist for further study. 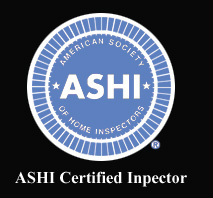 ASHI stands for American Society of Home Inspectors. It is the premier association to belong to in my trade. I have been an ACI (ASHI Certified Inspector) for the last 4 years. To be an ACI you must successfully complete a minimum of 20 CEC’s (continued education credits) per year. I am a strong believer that no one knows everything and you must constantly strive in your field. Before ASHI, I was a CREIA (California Real Estate Inspection Association) Certified Inspector for 2 years. Do you look for termites? Yes. I look very closely at all exposed framing members. During this routine I look for any of the wood boring insects, the damage they do and report on it. But if you are looking for a separate termite report, I can not provide that. I can refer you to some very good local reputable termite/structural pest control contractors. Should I get a separate fireplace inspection? Yes, especially if it’s an older home with a conventional fire chamber that burns wood and has a brick and mortar chimney. I do what’s called a “limited inspection” of the fireplace system. As you can image, we can not crawl or fully view most fireplace flues, so a full inspection/cleaning is always recommended. Like the old saying goes, “At the end of the day when you are starting a fire in your house, you need to be 100% confident that the fireplace is in perfect working order”. If it isn’t, it is very important to get it fixed professionally. Do you fix the items/findings in your report? No. It is a conflict of interest for me to do any repairs. Also, ASHI’s code of ethics states, Inspectors can not work on the homes that they inspect. When should I expect the report? The report will be emailed to you in less than 24 hours from the end of the inspection. What happens if the gas, water, electricity or pilot lights are not on at the property? Generally, your Real Estate Agent will coordinate with all parties to ascertain that these utilities are on, so the Inspector can do a full thorough job inspecting. Once in awhile, due to a foreclosure scenario, nothing is on. I have been known to work around items/appliances that are off and everyone just move forward accordingly. Do you measure the home or ascertain property lines? No, refer to your Real Estate Agent, your appraiser or the local building department.